No Andrew Lloyd Webber on the BBC in 2009? According to an interview with Closer magazine (! ), the BBC is going to have to find a new Andrew Lloyd Webber if it plans to do a new series to find a musical theatre star, after the previous successes of ‘How do you solve a problem like Maria’, ‘Any Dream Will Do’, and ‘I’d Do Anything’. I have been watching your recent series of ‘I’d Do Anything’ with great interest, and was particularly delighted to see such a worth winner as Jodie Prenger emerge in this week’s final. It seems that there has already been much speculation as to whether you will be producing another series of the ‘find-a-star’ format next year, given the level of criticism that the show received earlier this series. A Nancy already in work, lots of New York News, some reggae in the West End and Phantom of the Opera closes (only for four days though!). Enjoy this week’s musical round up and have a great weekend. We’re now more half way though ‘I’d Do Anything’, and the pressure is mounting on the remaining contestants… but I have been wondering – is it really an all-or-nothing situation for the girls who are left, or have they already overcome the hardest hurdle by making it this far? Despite what you might think if you have read this blog before, I do go to see straight plays as well as musicals. In fact, rather in the manner of London buses, 2 trips are coming along for me in quick succession. Last night was Speed-the-Plow at the Old Vic, and next Monday is God of Carnage at the Gielgud Theatre. There are some obvious parallels between the 2 productions. Both have big name film actors in the cast – Kevin Spacey and Jeff Goldblum in the former, and Ralph Fiennes in the latter. 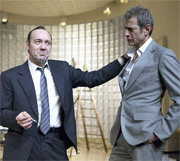 Both plays are also directed by the same man – Matthew Warchus. Unsurprisingly, I was pretty excited about both trips. In response to Kevin Spacey. Given this, it’s not surprising that his comments have started a debate within the press, and its well worth reading some of the responses by people like Michael Billington to see what they have to say – I’ll be posting a fuller round-up a little later, so do check back if you are interested. But this post is my opportunity to wade into the debate, so read on if you want to hear what I have to say on the matter. 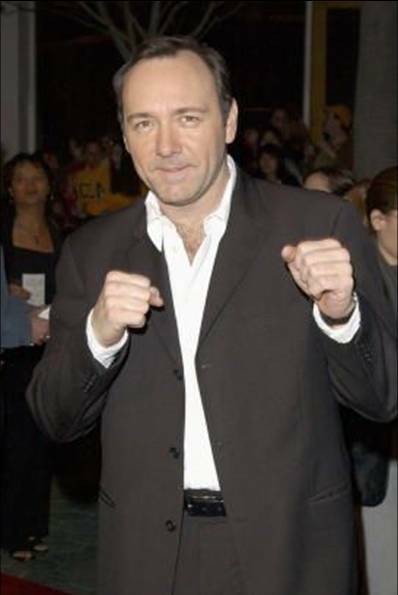 As far as I’m concerned, Kevin Spacey was both right and wrong!